Parker Hannifin, the global leader in motion and control technologies, has announced two important new patents for its class-leading series of ETH high-force electro-thrust cylinders. The patents are designed to reduce commissioning and maintenance time for users, as well as minimise machine downtime. ETH electro-thrust cylinders from Parker Hannifin offer extremely high force operation and exceptionally long service life. 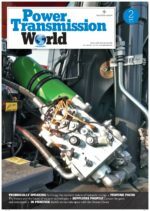 The first patent sees the introduction of a unique lubrication port that allows the application of grease in seconds, without the need to disassemble any part of the cylinder. At the core of ETH cylinders is a high-quality, precision ballscrew that is designed to deliver smooth operation over the entire speed range. However, all ballscrews require occasional re-lubrication over the course of their operating life. In order to simplify this process and save time, Parker’s engineers have designed the integrated lubrication port. The patent-protected port is located on the rear bearing block/housing of the extrusion profile. Parker’s second new patent for its ETH cylinders relates to the tensioning of the timing belt that couples the ballscrew to a parallel-mounted motor. To ensure optimum torque transfer, belt tension must be perfectly adjusted. Here, Parker has devised a clever tensioning principle in order to increase reliability and reduce the amount of time this process requires. The patent-protected tensioning principle, which is based on a simple system involving a toothed belt, threaded pins and lock nuts, allows perfect tension to be achieved. Another major advantage of the process is vastly simplified maintenance. For instance, if a customer ever needs to change the motor, the same belt tension is retained; there is no need for any adjustment. 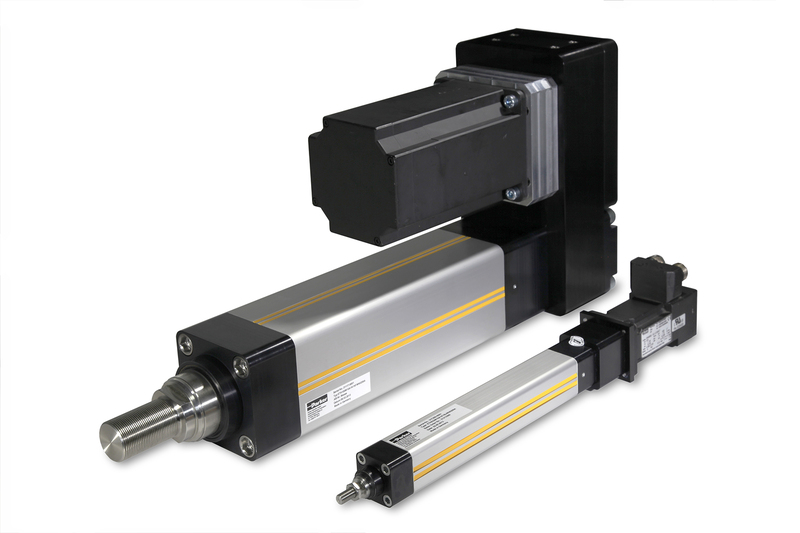 Parker’s popular ETH electro-thrust cylinder is designed to close the gap between pneumatic and hydraulic actuators, providing a reliable and economic alternative to both in a wide range of industry applications. Learn more at www.parker.com or @parkerhannifin.